Departing from Easton, you will quickly escape suburban sprawl as you follow the Bushkill Creek north along the Two Rivers Trailway, which debuted in last fall's NeoClassic brevet. It's paved surface is suitable for even the skinniest of road tires. The Appalachian Mountains loom in the distance as you approach the first control at Wind Gap. Rather than crossing the Blue Mountain here, the route heads east through the Slate Belt along the south face of Mount Minisi before turning north again toward Delaware Water Gap. The Turkey Hill control in Winona Falls should have something to top off your tank before you enter the most remote section of the course. 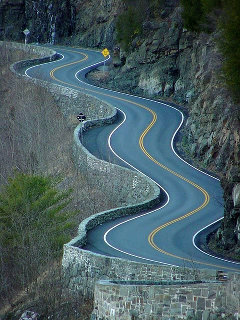 The route heads up from there (literally) as you climb the Appalachian front, passing Bushkill Falls as you ride through the Delaware State Forest on the way to the next controle near Hawley. The 402 Cafe controle at the top of the mountain may be known to some long-time riders of PA Randonneurs brevets. The next two segments should be well-known to many as the route follows the traditional Hawk's Nest 200 routing downstream along the scenic Lackawaxen River, across the Roebling Aquaduct, up to a controle in Eldred (El Dread), and finally passing the always incredible namesake Hawk's Nest overlook of the Delaware River. Rather than the usual Port Jervis controle, we cross the Delaware to control in Matamoras, PA. The final legs head down through the Delaware Water Gap National Recreation Area, scaling perennial favorite, not quite paved Old Mine Road. Be sure to follow your cue sheet since you will not be crossing the I-80 Appalachian Trail bridge, but heading up and over to Blairstown, NJ for a penultimate control before heading to the finish in Easton. Join your fellow randoneurs after the ride for pizza/pasta and to share your epic stories and tales, some of which may even be true, about the day's adventure as we gather at the Holiday Inn conference room. Steep and/or extended climbs abound in this route featuring a mix of well and not-so-well known roads. Appropriately low gears are highly recommended. A complimentary breakfast buffet will be provided before the ride, and a pizza/pasta buffet will be available after the ride. There will be shared access to a shower, allowing you to clean up after the ride. A limited number of bunks will be available for "safety naps". If you need full overnight accomodations, please book a room for yourself. 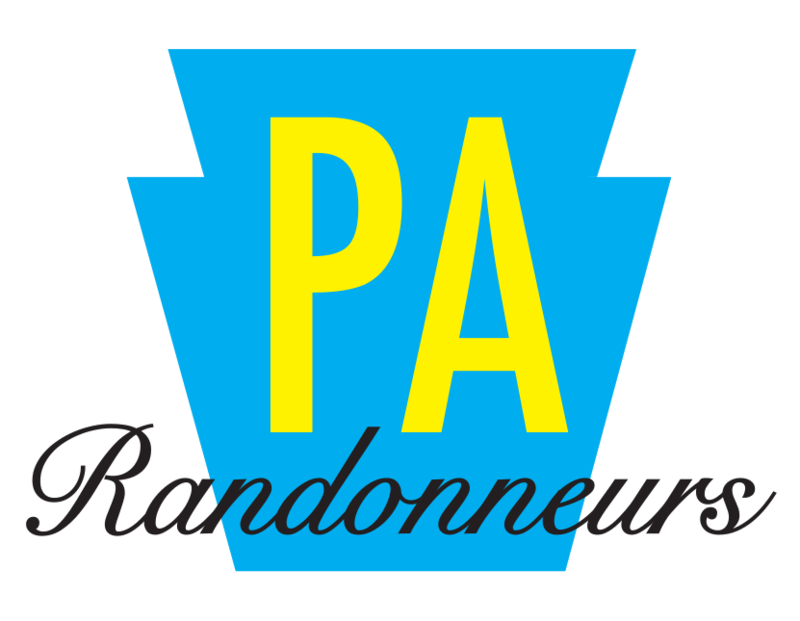 No lodging is included, but PA Randonneurs has reserved a limited block of rooms at the Holiday Inn that riders may book. Contact the hotel directly. Use group code RB1. Click here to make reservations.